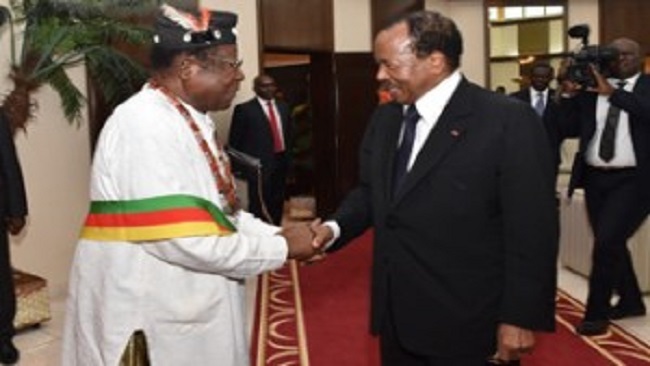 After his swearing-in on Tuesday, November 6, 2018, Cameroon’s President, Paul Biya, ordered the arrest of prominent members of the MRC, the party led by Professor Kamto who actually won last month’s presidential election. Among those arrested are Prof. Maurice Kamto, Barrister Simh, Christian Penda Ekoka, Alain Fogue Tedom, Okala Ebode and 20 others who were attending an impromptu meeting with some of their party members. He said the people could count on him as he and the winning coalition that enabled him to win the election would continue to fight on the people’s behalf. He stressed that Cameroon belonged to all Cameroonians and that no Cameroonian should be judged based on their tribe. He pointed out that Biya had been sworn-in as the country’s president because of the system is corrupt; adding that for the past 36 years, Mr. Biya and his collaborators had fostered tribalism. Shortly after addressing the crowd, Prof. Kamto and his collaborators were whisked away to the Elig- Essono Judicial Police where they are being questioned. “He knows he did not win the election. He knows that a lot of fraudulent things have been done to keep him in power. I think he should now starts thinking of bringing the country together by calling for inclusive dialogue that will enable the country heal,” he said. The country lacks good medical infrastructure. Most of its hospitals have become consultation clinics. The road infrastructure also leaves much to be desired. The roads are today death traps that are consuming the population at a rate never seen before. But the most difficult challenge is the Southern Cameroons crisis that is very likely to tear the country apart. For more than two years, Southern Cameroonians have engaged the government in a tough battle that has resulted in the killing of some 4,500 Cameroonians, including over 1,500 soldiers. Following a demonstration by teachers and lawyers in 2016, the two English-speaking regions have become ungovernable. The government’s military actions have caused thousands to flee to Nigeria while millions are hiding in the bushes to avoid the government’s brutality. Many children are today seeking refuge in those bushes and many babies have been delivered in the process. The number of teenage mothers has increased and this spells another serious problem in the future. The government has not made any convincing efforts to bring the people for their bushes. Mr. Biya might have been handed victory by the fake institutions he has created, but with that victory comes a crown of thorns that might keep him uncomfortable for seven years. The people of Cameroon have lost confidence in him. 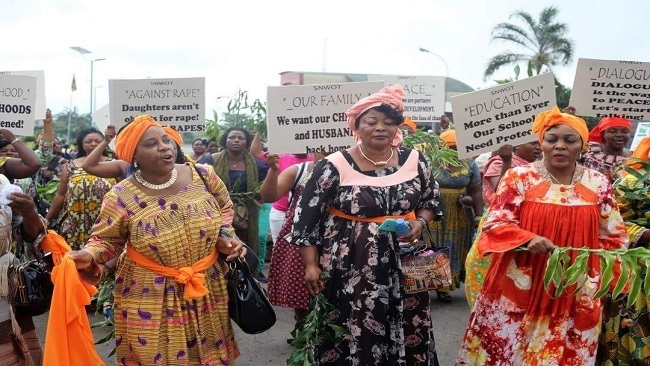 After 36 years in power, Cameroon has been put in the spotlight for all the wrong reasons. It will take a miracle for most of the problems currently facing the country to be addressed by the same man who is responsible for these issues. The world is watching Cameroon and many people will be keeping an eye on Mr. Biya. Many want to see how comfortable he will be in his new crown of thorns. The country is out of cash. It has very few friends around the world and its finances are fast dwindling. With oil prices diminishing on a daily basis and separatists threatening to disrupt oil production in the South-west region, it is clear that before long the government will be taking its begging bowl to other parts of the world for assistance. Mr. Biya might wear the crown today, but it is clear that the hidden thorns in it will keep him permanently ill at ease. Most of country’s allies have called on the government to find sustainable solutions to the Southern Cameroons crisis and America has simply ended its military partnership with the country due to serious human abuses in the northern part of the country. Mr. Biya will have to burn the mid-night candle on both ends if he has to post any results. His dwindling financial resources imply that he has a crisis on his hands and with the country awash with weapons, it is clear that the government’s military actions in the English-speaking regions will not deliver the military solutions it has been hankering after for two years. Cameroonians may have avoided the streets for the sake of peace, but that does not imply Mr. Biya and his men will have to continue to sleep at the switch. They must have their noses to the grindstone if they want Cameroonians to see them differently. After 36 years in power, without anything to show for, Mr. Biya has to change his ways. He must stop using the country’s treasury like his personal ATM. He has to be transparent in the way he runs the affairs of the country and he must embrace genuine democracy. He must see dialogue as an effective tool for conflict resolution and prevention. Arresting his opponents only makes things worse.